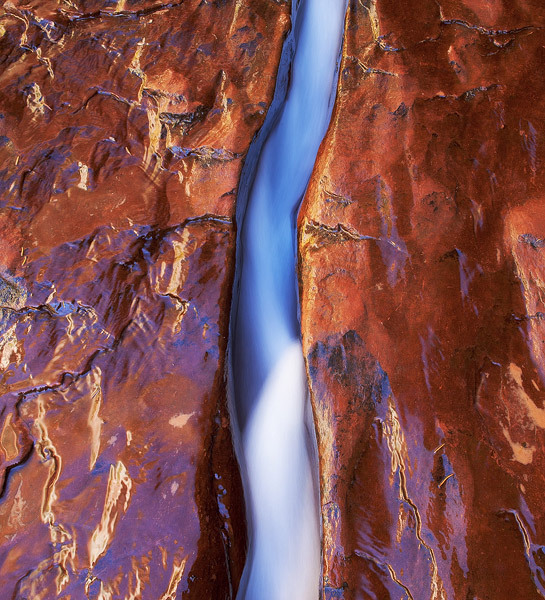 A deep crack in the sandstone creek bed channels water through it near the Subway in Zion's backcountry. This is how The Crack looks without any autumn leaves in the area. Photo © copyright by Jimmy Gekas.